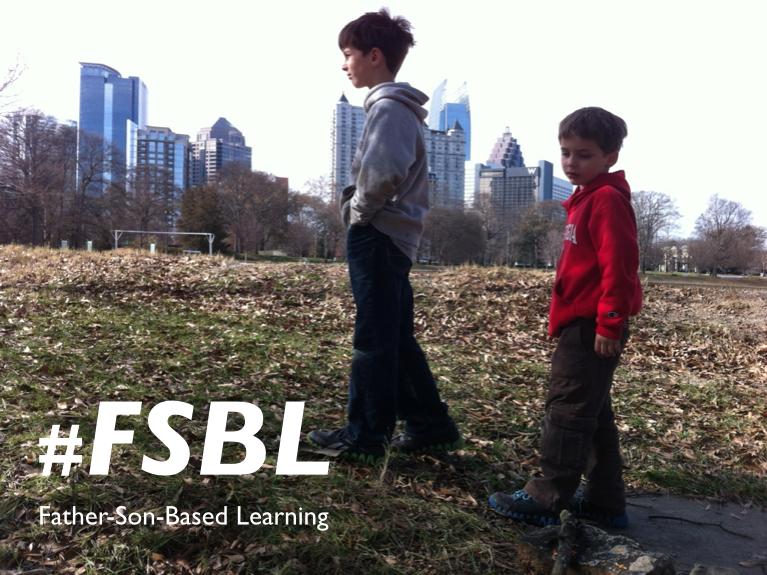 This entry was posted in CBL, CBL, DBL, PBL, Education - School 3.0, PBL, Synergy 8 and tagged father-son-based learning, FSBL, iDiploma, Innovation Diploma, observation journals, Synergy, Synergy 8, Synergy8, Traverse, Watershed School by boadams1. Bookmark the permalink. My name is David Rau and I am an improvement professional working in the Portland, OR area. I have been following your blog for a few months and I find it very stimulating and encouraging. My primary focus is doing in business what you are striving to do in education which is to undo and prevent the systematic removal of our natural tendency toward questioning and exploration as humans. I believe that society as a whole suffers from an outdated view of leadership in all relms of life. Even well meaning parents, teachers, and managers see their role as providing the right answers/information and/or even solving the problems for those individuals entrusted to them. The primary means of teaching scientific thinking and problem solving in the business world (and the one that I used everyday) was introduced a number of years ago by a man named Mike Rother in his book “Toyota Kata”. It involves a universally applicable scientific mental model as well as the practice routines to make it a habit. Similar to your desire to bring exploration and questioning into business, Mike is now working to adapt these practice routines known as the Improvemet Kata and Coaching Kata for use in schools. Mike shared this email address with me to share with anyone inquiring about this. I also highly encourage you to explore the Toyota Kata website. Having read much of your writing, I know that you will connect with it. Thank you for your contributions the our future generations! Thank you so much for following my blog for the past few months. I genuinely appreciate every reader. And I am always grateful for a reader who takes time to comment and connect with one of the posts. I so appreciate the encouragement and warm feedback, and I am thankful, too, for the resources. I will definitely check out Toyota Kata.